There seems to be a revolution taking place in the German wine industry, perhaps in reaction to market perceptions of the wine they produce. During the 1990s and 2000s there seemed to be a move away from the large volume blended sweet and fruity white wines of the 1970s and 1980s, towards very steely crisp and bone-dry wines. Today there seems to be a movement away from the aromatic and bright dry wines towards more complex textural and rich wines that retain concentration and mid-palate structure. Wineries also seem to be shifting towards more traditional techniques in an effort to craft wines in this style. Firstly in the vineyard the VDP is introducing classification of better parcels of vineyards, much like the French appellation system, and there also seems to be a movement to organic and biodynamic viticulture. Secondly in the cellars winemakers are reintroducing practices like extended must contact, barrel fermentations and oxidative handling. After almost three weeks in six German regions I am starting to wrap my head around the varietal, and see how each region expresses the variety using terroir and winemaking. The Buerklin family traces its wine heritage back to 1597, when it was one of the wealthiest vineyard owners in the Pfalz region. The wine tradition grew further in 1875 when the daughter of one of the Wolf family, possibly one of the most important families in the region, married the son of Buerklin and established the house we know today as Buerklin-Wolf. The estate is one of the largest owners of vineyards in the Mittelhaardt, mostly between Wachenheim and Haardt. They produce roughly 500,000 bottles using estate fruit from 85 hectares of vines, making them one of the largest producers in the area. When the 16th Generation Bettina Buerklin took over the estate in 1990, she wanted to take the winery into the next century as a truly premium brand. 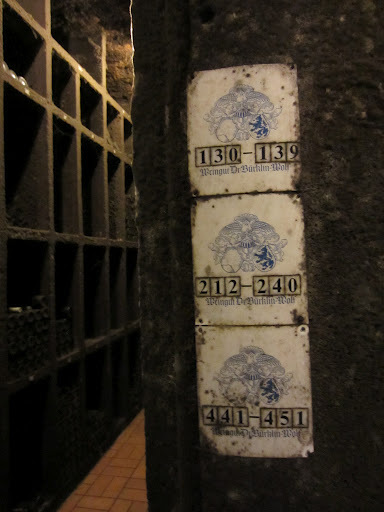 One of the first things she did was to designate the top parcels of vineyards in the Mittelhaardt, using the French cru system and bottle and label them as such. This was before the VDP had designed the Lagen system that is commonly used by its 200 members. 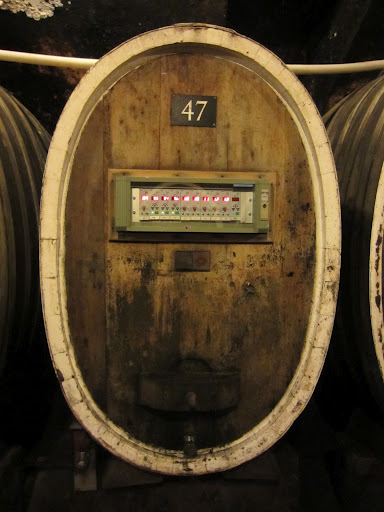 The second thing was to move away from reliance on stainless steel fermentation for the dry wines, and to reintroduce large format old barrels, particularly for the top wines. This is not uncommon in many of the top estates today, but Buerklin-Wolf was again ahead of the trend. The more recent change occurred in the early stages of the last decade, and that was to begin experimenting with biodynamic viticulture. Bettina was so happy with the results that over a five-year period they converted all 85 hectares to biodynamic, and the results have shown. I was able to try a few wines from before and after the biodynamic conversion, and you can read my notes here. 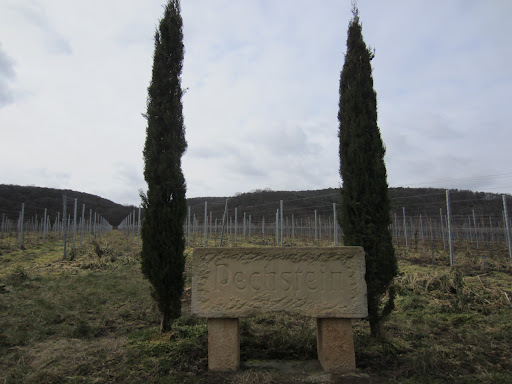 Down in the village of Deidesheim is the estate of Weingut Geheimer Rat Dr. von Bassermann-Jordan. This estate has a number of similarities with Buerklin-Wolf. Firstly they produce roughly 500,000 bottles of mostly riesling each year. Secondly they own hectares in most of the same vineyards as their neighbour to the north. 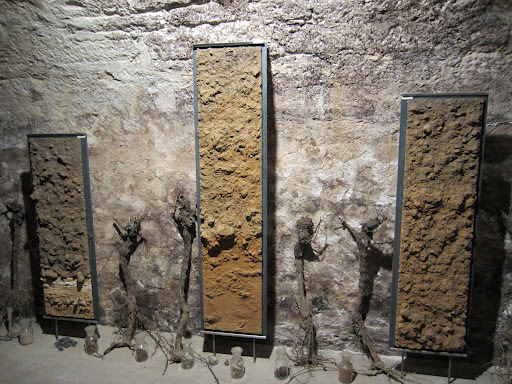 Thirdly they have converted all of their vineyards to biodynamic viticulture. They also have a quite a history dating back to the 16th Century, and the estate has also been run by doctors. When you look closely you see quite a few important differences though. The winery doesn’t own as many hectares of vineyards as Buerklin-Wolf, and purchases fruit from contract growers within the Mittelhaardt to achieve their volume. The business is also no longer owned by the Bassermann-Jordan family, selling to a local businessman in the 90s. In the cellars there is not as much reliance on old barrels for fermentation, preferring to retain more freshness in the wines. And finally, the fact that they are biodynamic isn’t a badge of honour for them. The Sales Manager Sebastian Wandt hosted me for the afternoon, and I had one of those rare opportunities to go into the vineyards. Recognising many of the Grosses Lagen vineyards, it was interesting to note that three wineries owned parcels in most of them; Bassermann-Jordan, Buerklin-Wolf and Von Buhl. 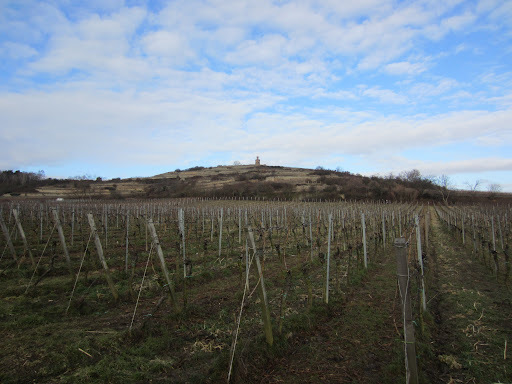 The vineyards of the Mittelhaardt in the Pfalz are quite flat, sitting on the foothills of the Haardt Mountains. They remind me of Alsace in a way, and there are similarities between the two in the wines. Looking down on the jigsaw of vineyards is really interesting, as you have to imagine little micro-climates and variations in soil-type that you can’t see. Over a tasting I admired the very traditional art-deco labels which depict a Bacchan paying homage to Roman Emperor Probus, who introduced Europe to its tradition of viticulture and winemaking in the 3rd Century. Over a comprehensive tasting I was able to come to terms with the style and range of the winery. Click here to read my notes on some of the highlight wines. Click here to see more photos from Day Two in the Pfalz, Germany.